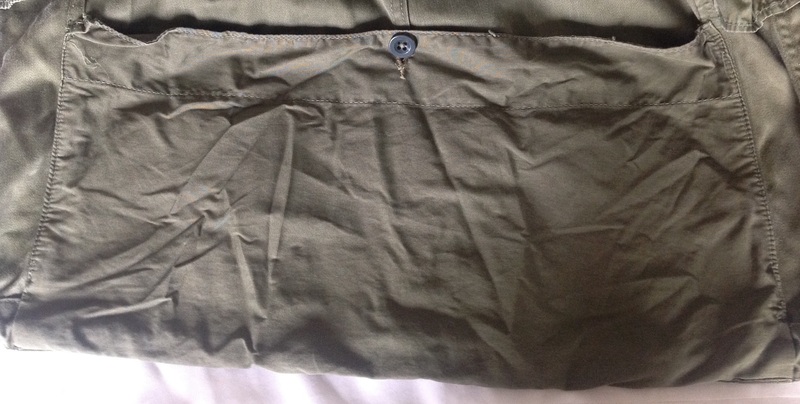 This entry was posted in British Army, Post WW2, Uniform on May 31, 2015 by hatchfive. 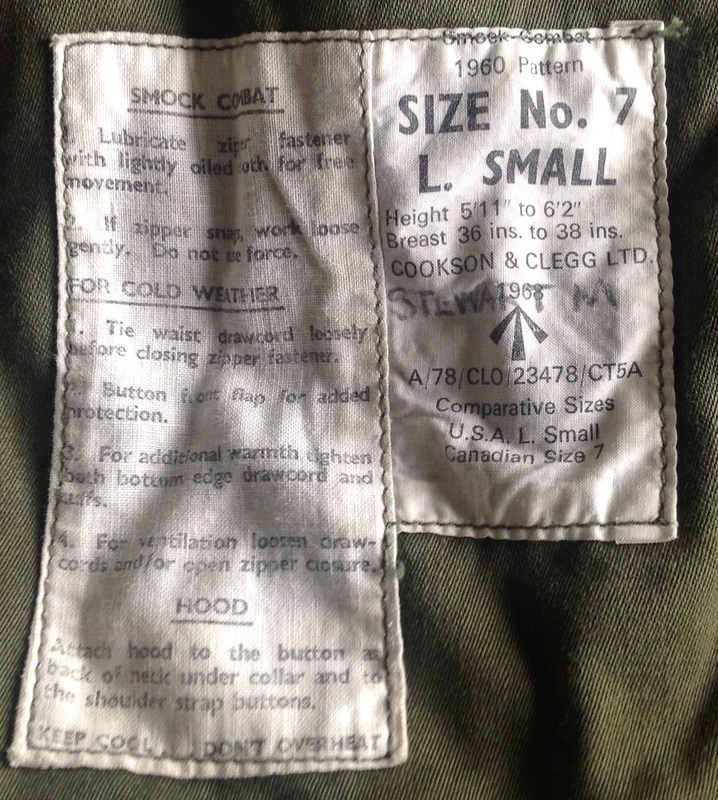 Whilst the design of British and Empire uniforms and equipment has always been unique, these designs have not existed in isolation and especially during periods of War, foreign ideas and influences have crept into the choice of uniform as personnel have borrowed or been issued foreign garments and liked what they used. 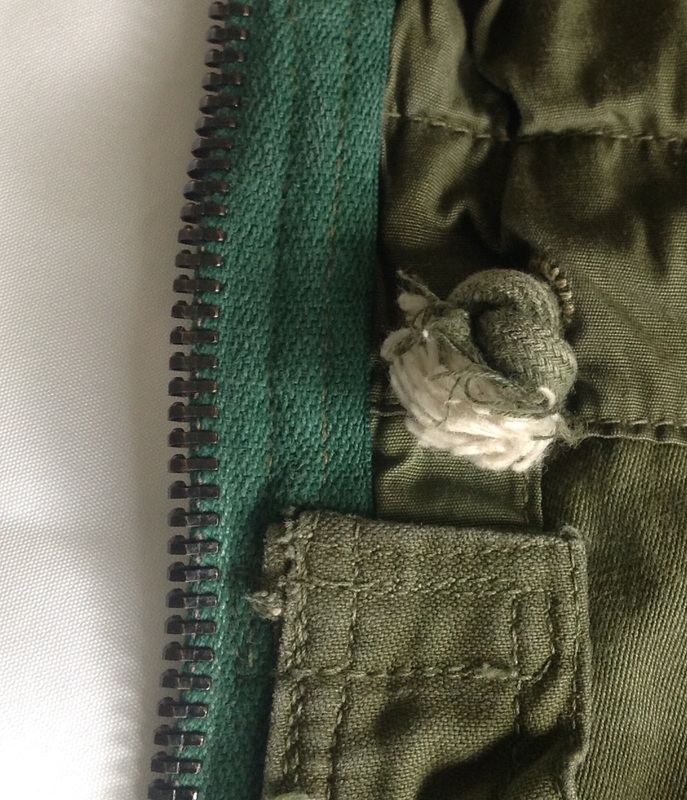 Tonight’s objects reflect a distinctly American influence, looking very similar to US Army web leggings, ironically the British examples were being introduced just as the US Army was moving away from them as being impracticable! 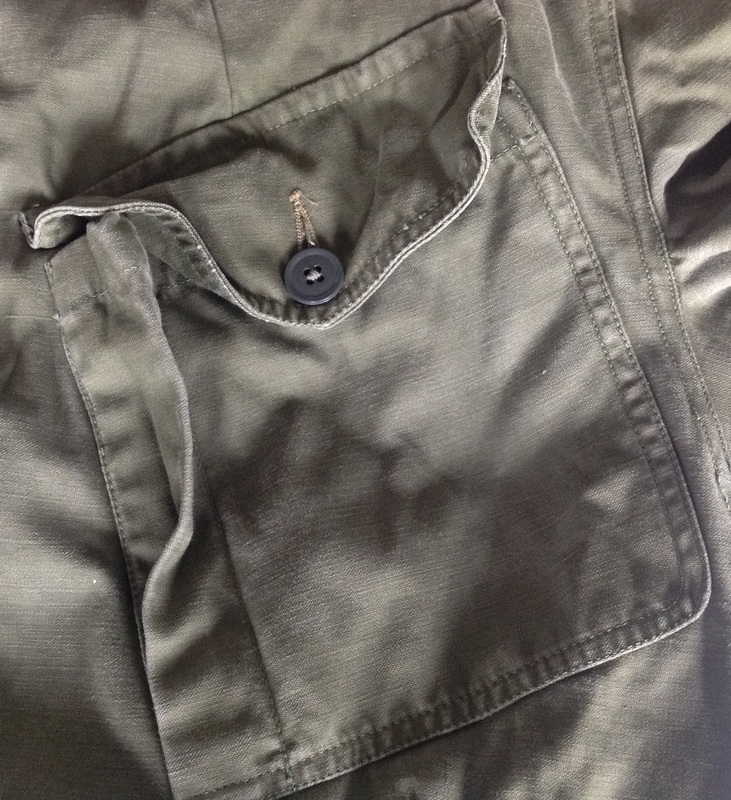 British women in the armed forces during WW2 often relied upon issues of men’s clothing to make up for gaps in garments specifically designed for them. No where was this more obvious than in the uniforms worn in the tropics where women’s tropical kit only started being issued in the final years of the war. 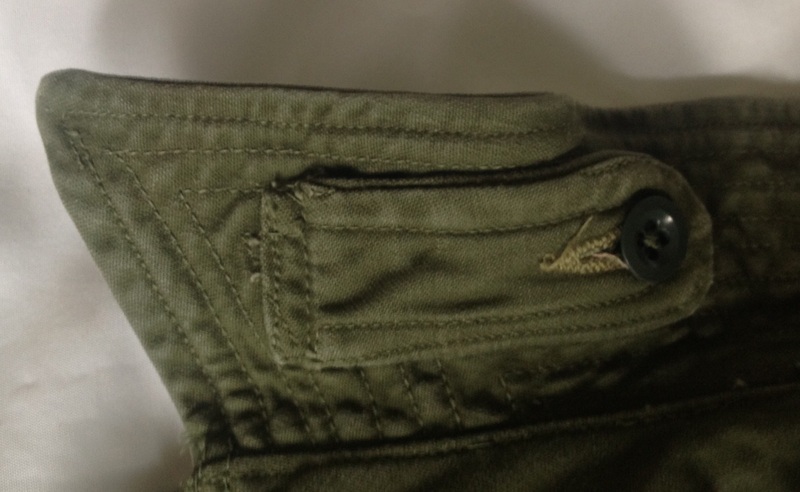 One item of uniform specifically issued for women were the anti mosquito spats: These were designed to be worn over the boots and trousers to prevent mosquitoes entering the trouser leg; in theory they were impervious to the insects’ bite and would prevent the spread of malaria. 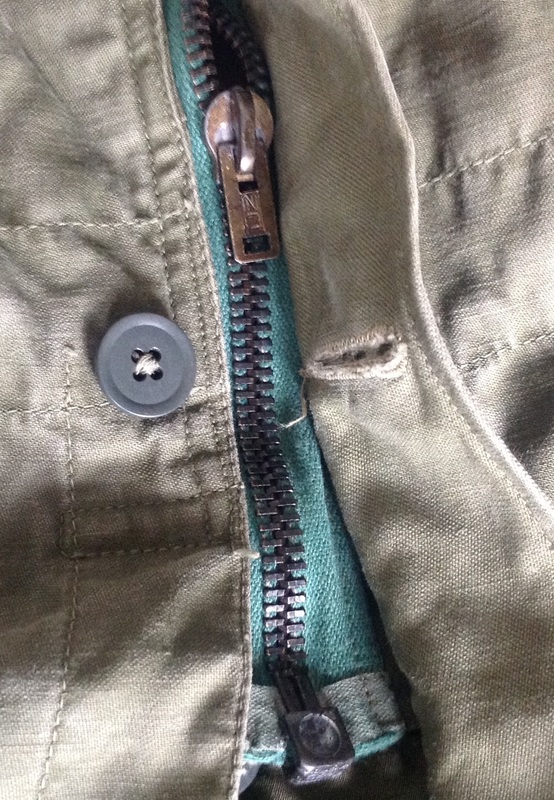 The spat itself is made of a cotton fabric, with a row of four buttons and eyelets up the side to secure it: A leather strap is sewn to the centre of the bottom edge: With a corresponding metal buckle: The strap would be passed under the instep of the boot helping to secure the spats firmly in position. 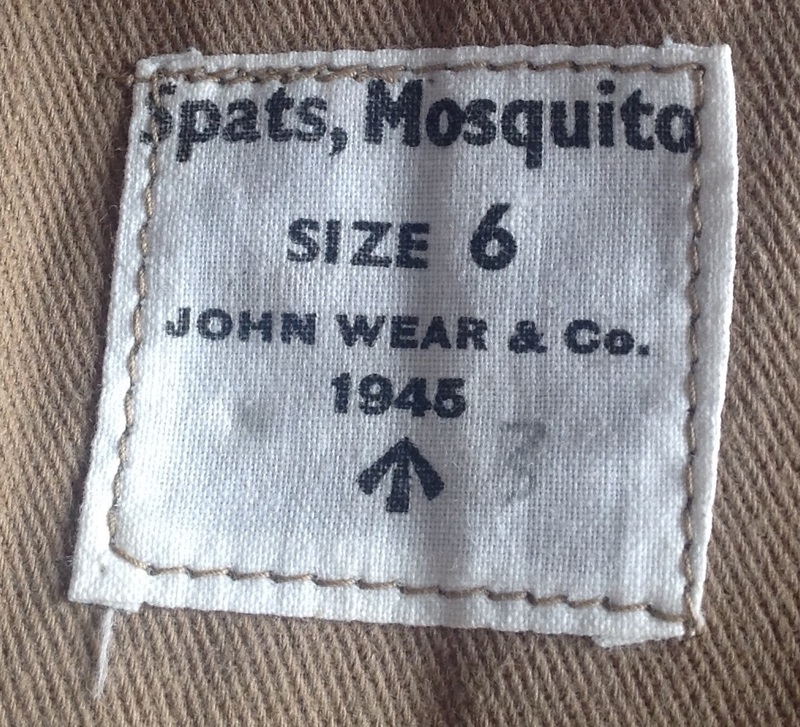 The spats have a printed label indicating they were made by John Wear & Co in 1945: Apparently other labels exist that positively identify the spats as being issued for ATS or Nursing staff. 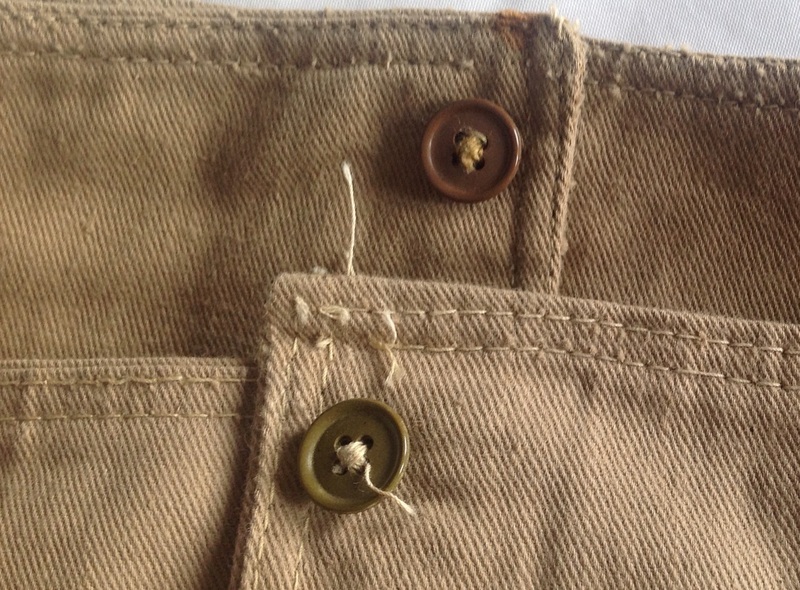 Interestingly this pair of spats is not actually a pair, the buttons used to secure them are slightly different: I assume that these must have got muddled up in stores at some point in their history, but they do illustrate some of the minor differences that can be found on seemingly identical items. I have really struggled to find any photographs of the spats in use, I don’t appear to be alone in this, so I can’t say how common their actual use was. 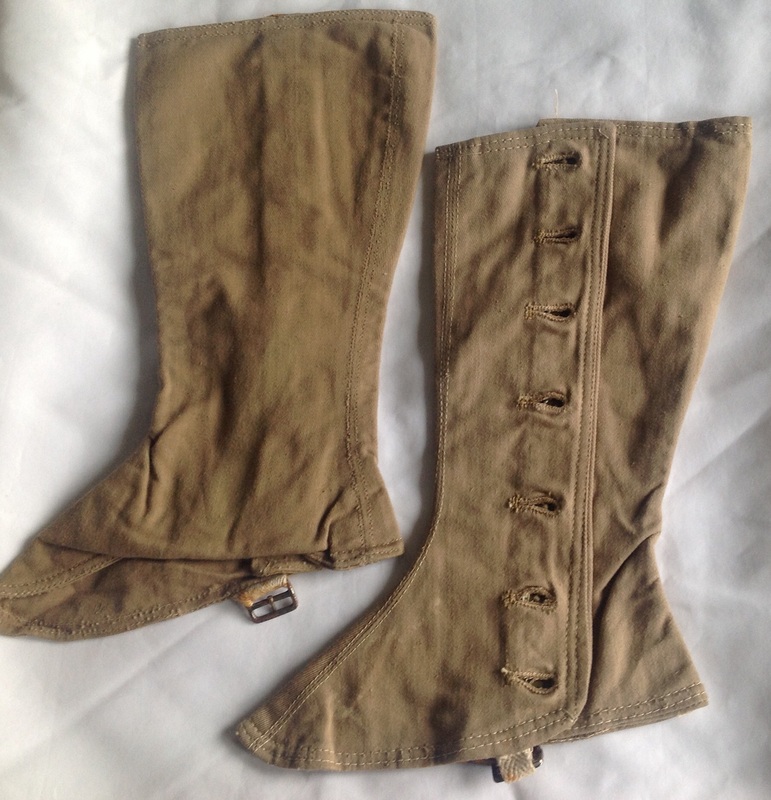 A female member of one re-enactment group has commented that they are a pain to put on and take off (the main reason the US Army dropped their leggings) so I can easily see women in the tropics preferring to use webbing anklets in the field rather than these spats! 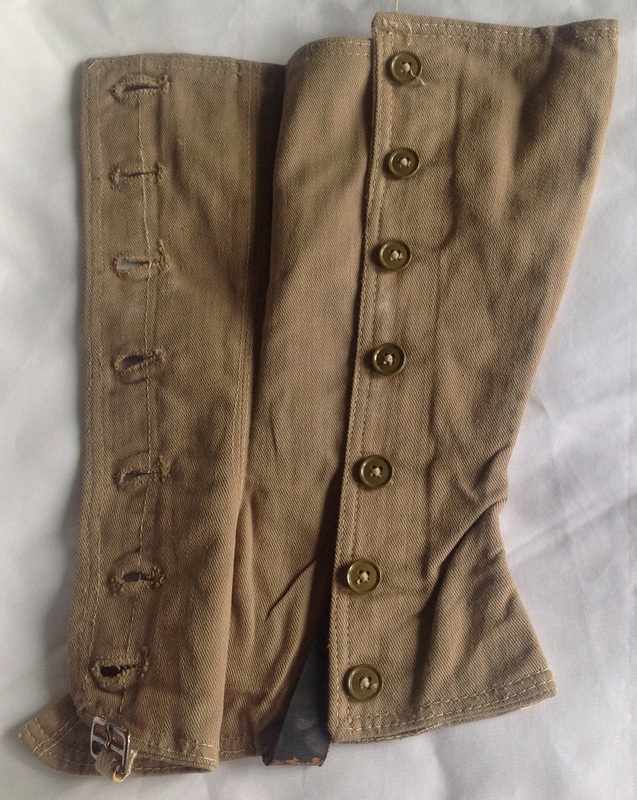 These spats are very common and come up on eBay for a few pounds. This entry was posted in ATS, British Army, equipment, WW2 on May 30, 2015 by hatchfive. I did shore patrol in Detroit 1964. Leading Hand plus one(me) from each ship in Dartmouth Training Squad: Tenby, Torquay and Scarborough. Eastbourne had broken down in Montreal. Cruise round in big yank car until midnight then off belt, gaiters and wrist band and big eats, beers and brothels until 8am with the officers. Funny nobody ever asked us for any money. People were paying rum to get posted for duty shore patrol. Drunken Matelots were just picked up by the Cities Finest and dropped off at the bottom of the Gangway, sometimes not to gently if they had got stroppy. I had the ‘privilege’ of being Shore Patrol in the United States on the 4th of July 1976, (their Bi-centennial), whilst on board the old Ark Royal (IV). Considering the size of ship and the amount of crew, there was only a Petty Officer, a Killick, and an Ordinary rating delegated to be shore patrol each day we were alongside. I believe it was Providence, Rhode Island we were visiting. The duty shore patrol was made up from duty ratings of any branch, (as opposed to being any of the many Regulators carried on board), and we were collected from the ship at 0900 each day and returned around 0800 the following morning. At the local Police Department, we were individually paired off with a US Patrolman and allocated to a patrol vehicle with him as our ‘side-kick’, and didn`t see our fellow RN crewmates again except when meeting up at any incidents. My ‘buddy’ was an FBI Lieutenant for this 24 hour period, and it was probably one of the most exciting times I spent in the RN! We were called out to shootings, arson attacks, motorway chases, toured the ‘red-light’ districts, (most interesting!! 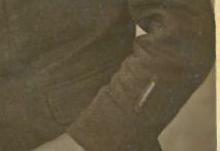 ), and even to collect a drug crazed US Navy man who broke out of a straight-jacket he had been strapped into. It actually took eight of us to hold him down and put him into a cell. All in all, it was one of the only times I spent in the RN when it had actually been a pleasure to be duty, and even more so, to be Shore Patrol! 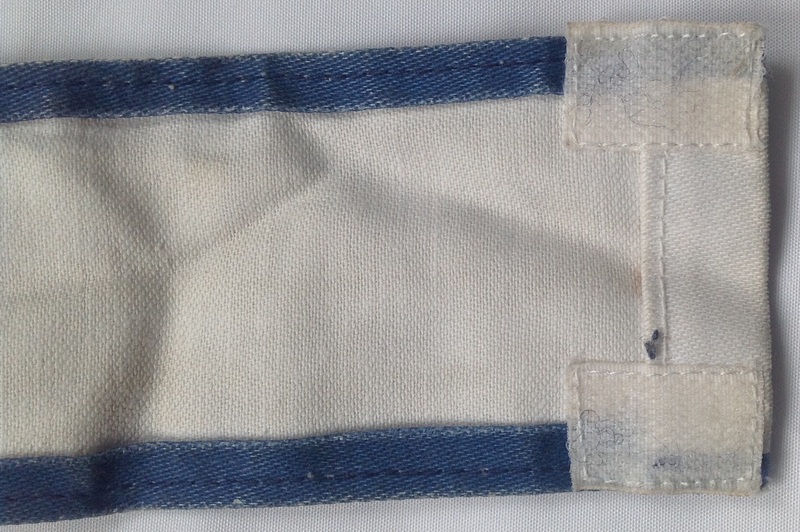 These wrist bands are still in widespread use today by both shore patrols and duty ratings on board ships and at naval bases to show to their shipmates and officers their (temporary) authority. 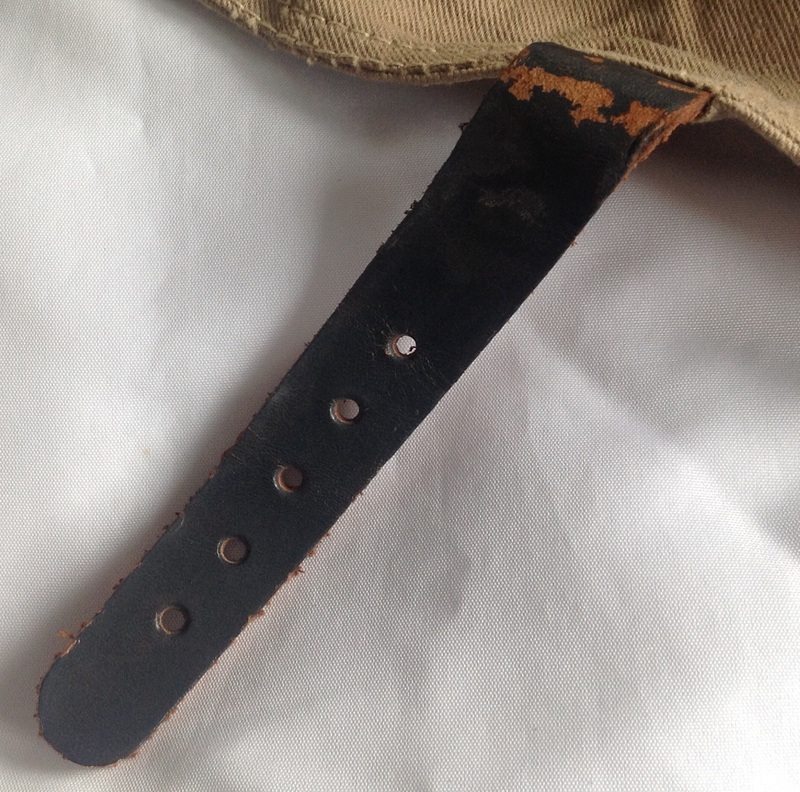 Ratings are still given training on how to act as a member of a Naval Patrol, however I can confirm that the training video used in 2015 is about as old as this wristband and features Leander class frigates and a British controlled Hong Kong! 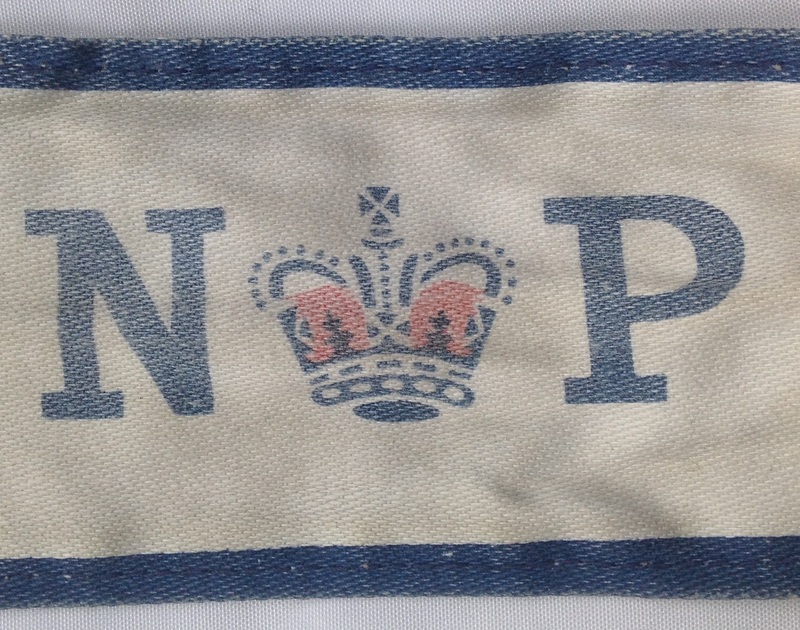 This entry was posted in Insignia, Post WW2, Royal Navy on May 29, 2015 by hatchfive. 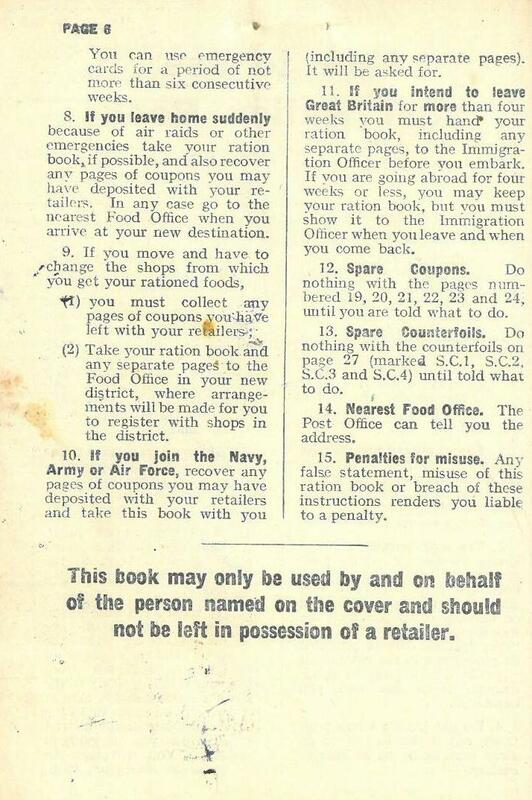 The range of souvenir goods produced for then outbreak of the Great War is mind boggling. We have looked at various commemorative china items over the last year, tonight though we have a very attractive chocolate tin. I bought this on Tuesday for £5, and the lid especially was very dirty: A gentle clean with some water and a cloth brought out the colours nicely and made it much more presentable: The top of the tin depicts from left to right Admiral Sir john Jellicoe, Field Marshal Kitchener and Field Marshal John French. These three men were the leaders of Britain’s armed forces at the outbreak of war and all shared a slight cult of celebrity at this early date, it is therefore very common to see them depicted on commemorative items. The four sides of the tin are also illustrated with martial themes; one of the long sides has the British Fleet at full steam: The picture is stylised, but seems to show destroyers rather than battleships, clearly the artist wanted to convey speed and dash rather than firepower and might in this illustration. The opposite side has the British Army fighting the German Army: The men are dressed in the uniform of 1914 and the Germans have nice clear spikes on their helmets so there is no doubt as to their nationality. 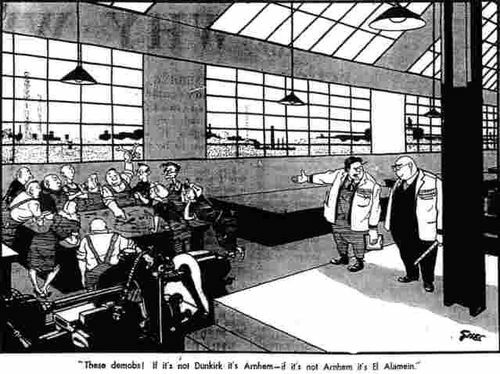 Note also the field gun on the left hand side of the panel. Whilst the ends depict the new aerial war, with one having early aeroplanes: The aeroplanes are flimsy monoplanes of the types used at the outbreak of war for aerial scouting. 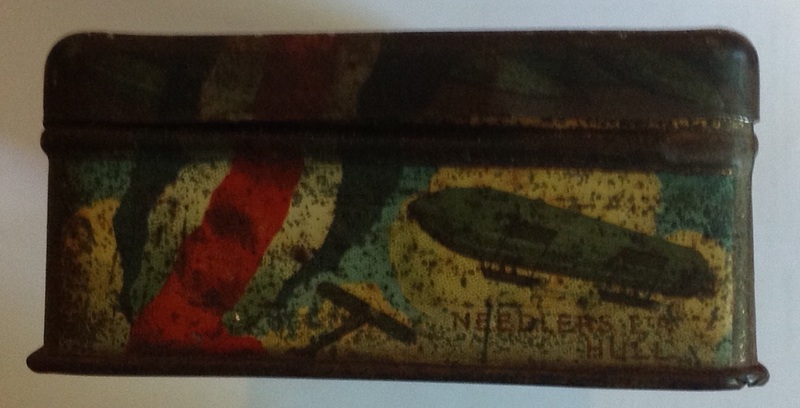 The corresponding side of the tin depicts an airship: It is hard to tell if the aircraft is accompanying or intercepting the airship! This panel also has the manufacturer’s name of Needlers ltd of Hull. 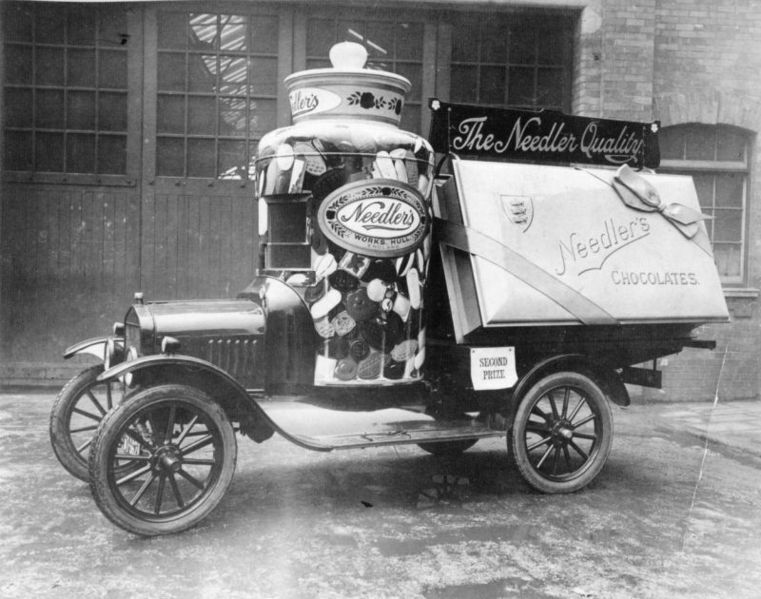 Needlers Ltd had been set up in the Victorian Era and just prior to the outbreak of the Great War they had moved to new premises in Bournemouth Street, Hull producing sweets and chocolates. This rather magnificent van was an advertising gimmick they used during the period: The company was hugely popular in the region and had to open a new chocolate factory on the site in 1916. Tins such as this were often purchased by relatives as a parting gift to those going to the front and happily many were retained so surviving to the present day. This tin is not in perfect condition, but it is still nice and clear and has minimal damage so I was very pleased to be able to add it to my collection. 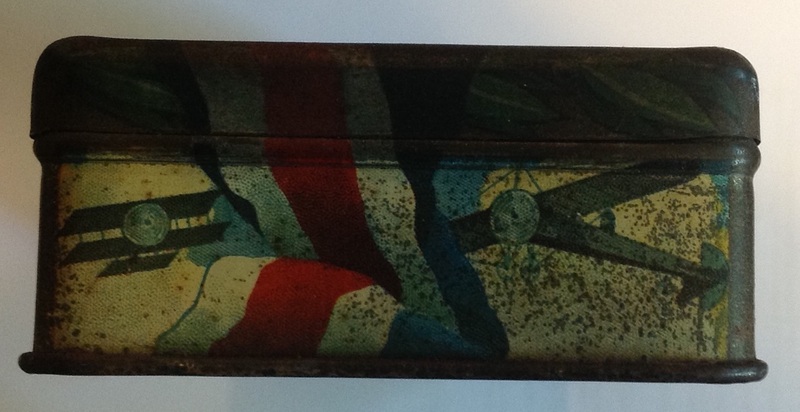 This entry was posted in Latest Pick Ups, Souvenir, WW1 on May 28, 2015 by hatchfive. I think mine must have been one of the quickest of anyone in the services. During those post VJ days there was little to do except keep ourselves and our men reasonably occupied. I took a weekend off to go and stay with friends in Cambridge and, while I was there, the official announcement was made outlining the government’s plans for demobilisation, notably (under what was termed a class B release) that anyone who had a university place could be released within weeks in order to resume or start their studies. I immediately went round to Christ’s College and informed the Senior Tutor that I was alive, where I was stationed and that I would like to take advantage of that arrangement for release. 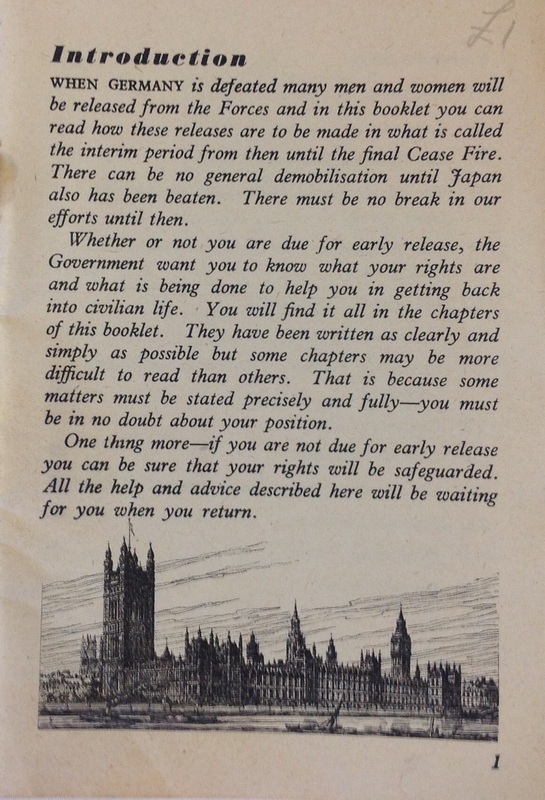 Term was about to start and, as our unit was at the time under direct War Office control, I went straight there on my return to London, and asked for the procedure to be put in hand immediately. It was, surprisingly quickly. Very soon papers came through authorising my release. I went to the demob. centre that morning, collected the free-issue civilian clothing, packed all my personal possessions and that same afternoon caught a train to my parents’ home near Sheffield. There I hastily re-packed, collected such books as I thought appropriate (mainly Latin and Greek texts), and rang the college and told them that I was on my way. To Cambridge next day by train and, on arrival, I was shown to my room and given my lecture programme etc. Term was under way and my first lecture was in the morning – and I was there, just 48 hours after receiving my release papers! 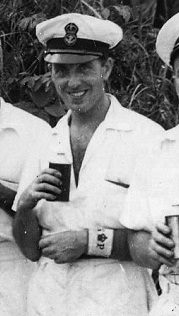 It was a glorious summer’s day on 2nd June 1946 and soon I was sitting in the train bound for Calais, whilst Bill had to go via Hamburg and across the Channel to Harwich. Watching the countryside pass by, my mind recalled the two years I had spent overseas – of all the incidents that had happened to me, experiences etc. sights I had seen, places I had visited, and I knew that I had memories which would never fade. Another girl was also being de-mobbed at the same time, and as we had had rooms next to each other in the German billet, we managed to keep together until we finally parted on Birmingham Station. We did not reach Calais until about 1 o’clock the following day and even though the weather was fine, giving one high hope of sailing that afternoon, we were unable to do so, which meant that we were to spend that night in the Nissen huts in the camp. The night proved to be very windy. We were due to sail on the first boat in the morning, which meant that we had to get up at 5 a.m. but because of the gales in the night which meant little sleep was had, most of us were up and about rather earlier than 5 a.m. After breakfast we clambered into lorries and were driven down to the quayside, where after waiting for about half an hour, we eventually boarded the boat at about 8 o’clock. The weather was dull, but the trip across was pleasant, and we finally arrived in Dover about an hour or so later. Each of us was carrying a kit bag and in my case, a very large case. I was given help with it but it was a struggle. After passing through customs, we managed to find a couple of seats on the train to London, and some people managed to sleep for a while. There were only six of us in the W.A.A.F. 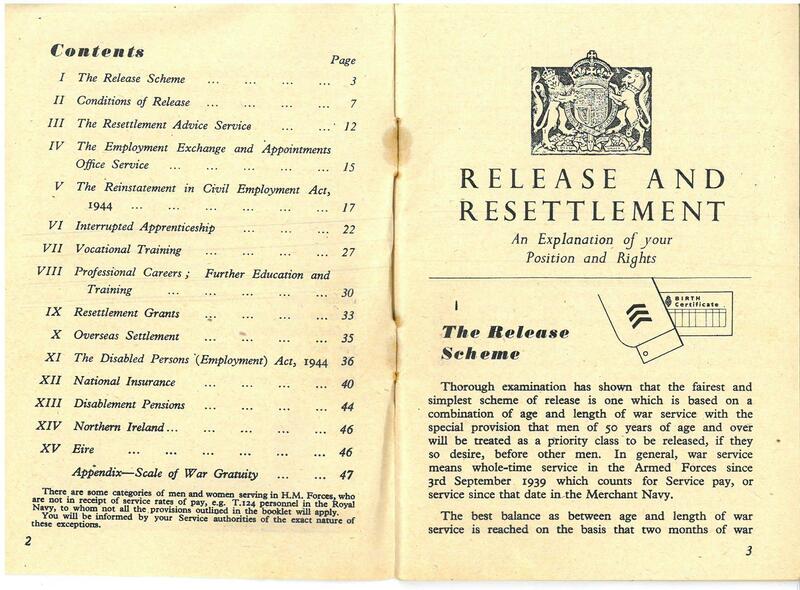 who were home for demobilisation, the rest being A.T.S. girls, so that when we arrived at Victoria Station, there was an R.A.F. lorry waiting to take us to Euston Station. We were then given information concerning our train to the Release Centre at Birmingham. As most of us had cases and kit bags, we only took the necessary items to Birmingham with us, leaving the remainder at Euston Station for collection on return. 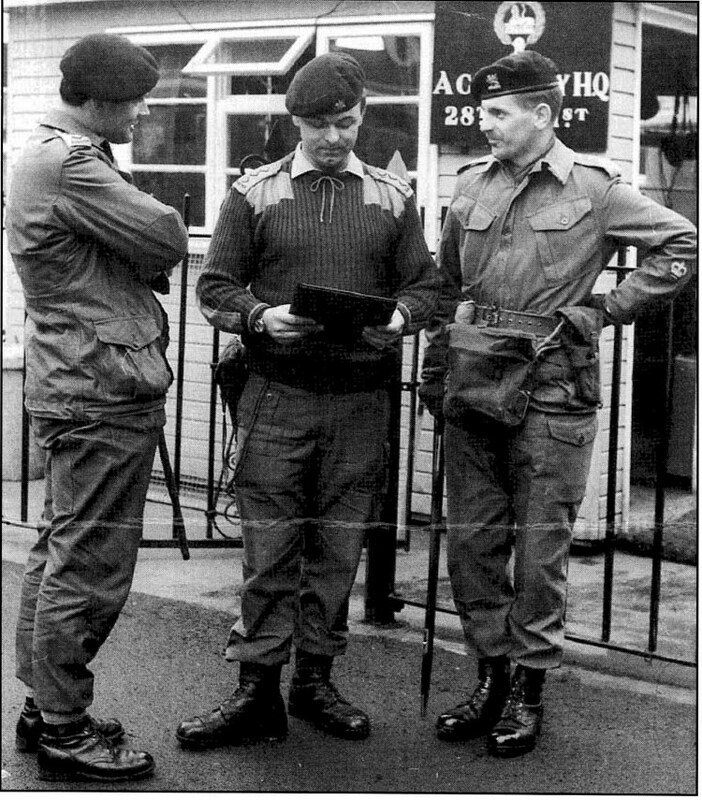 Having had nothing to eat since 6 a.m. we were quite hungry on our arrival at the Demobilisation Centre, so we were not impressed when we were told to wait until we could be attended to. After a while we decided that we were not going to wait any longer and on making enquiries and explaining that we had been travelling since early morning, we were shown where the dining area was. After being given instructions as to procedure for the following day, we all decided to have an early night and after a final drink, we made our way back to the hut. The following day we passed through the “Mincing Machine” – the name given to the various departments and procedure one is forced to endure during the process of being released from His Majesty’s Forces. We collected our papers and documents, Release Book, Clothing Book, N.A.A.F.I. 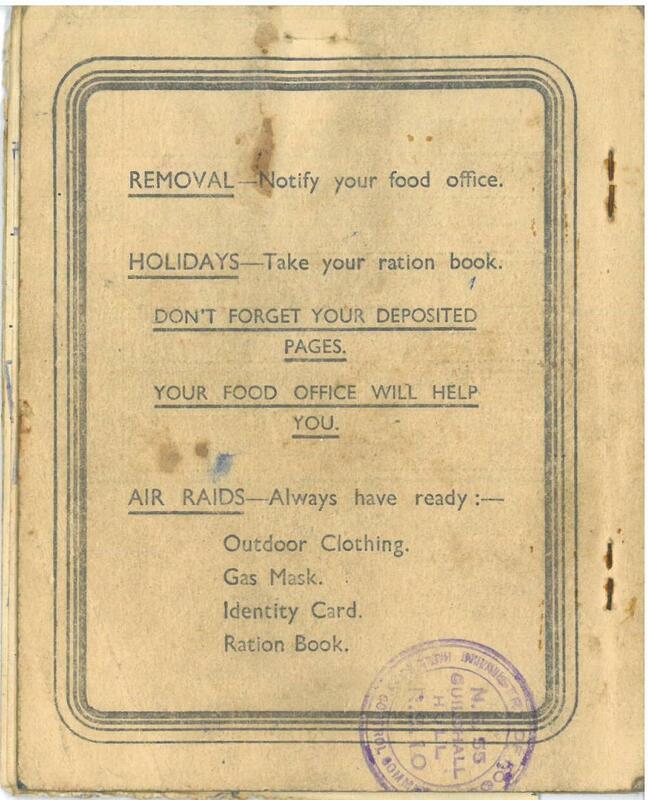 rations etc. and we made our way to the hut to collect the rest of our luggage, after which we were picked up by one of the Air Force coach drivers and driven to Birmingham Station. My friend was still with me and after a few minutes her train drew in. Wishing each other well, we parted. A few minutes later I was sitting in a London bound train and my thoughts leapt ahead to the time when my Mother would open the door to me welcome me home, for the last time as a W.A.A.F. My journey from London to my home town of Cheam was a struggle as of course I had collected my large case from London, which was very heavy. However, walking along the road with my kit bag on one shoulder, and the case in the other hand, a very kind man came along and took the case as he was going up the same road. Arriving at the gate, I left the case and knocked on the door and waited, and so came the end of a wonderful experience of almost 4 years in the Service. Needless to say there was lots to talk about apart from the unpacking. 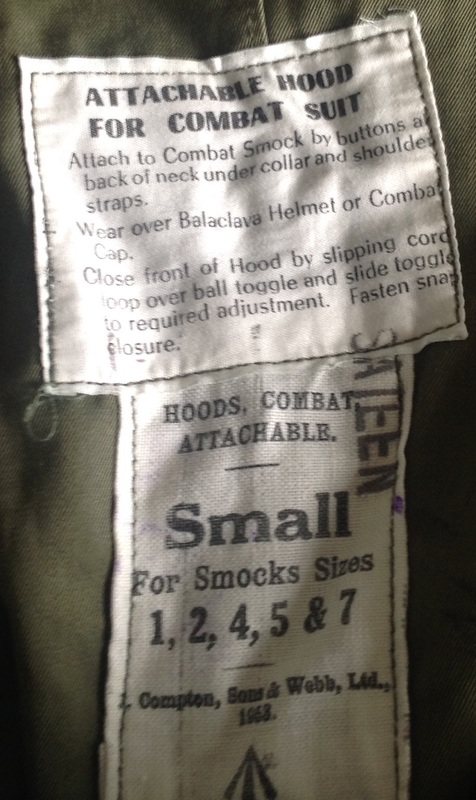 This entry was posted in British Army, Documents, Latest Pick Ups, WW2 on May 27, 2015 by hatchfive. As one of the stall holders commented this morning, the market after a Bank Holiday is often quieter. 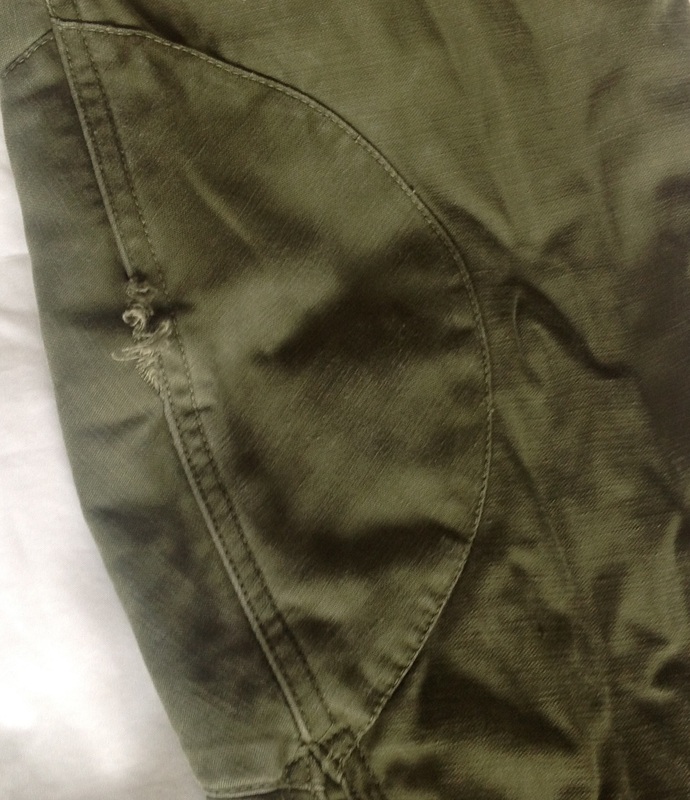 Despite this I did pick up a few nice small finds for a few pounds so it wasn’t a wasted journey. 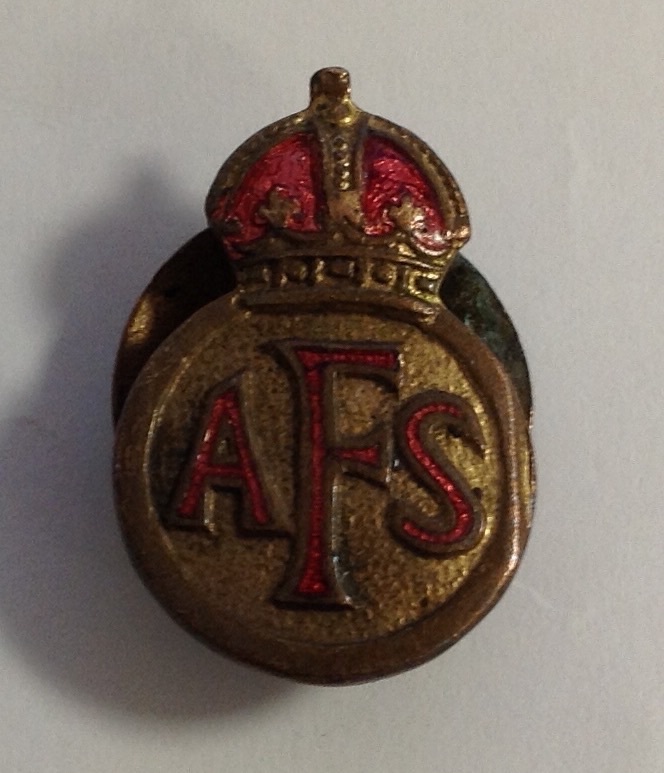 This tiny little AFS badge is made of enamelled brass, with the AFS letters and King’s Crown picked out in red enamel: The reverse of the badge has a fitting to fix it through a button hole on a jacket lapel: These badges were issued to AFS personnel to allow them to distinguish themselves when in civilian clothing. The Auxiliary Fire Service had been set up in July 1938 to assist the regular fire brigades, the part time fire fighters had to complete 60 hours of training and were then issued with a lapel badge. The badge helped them avoid being denounced as avoiding the call up and being branded a coward. 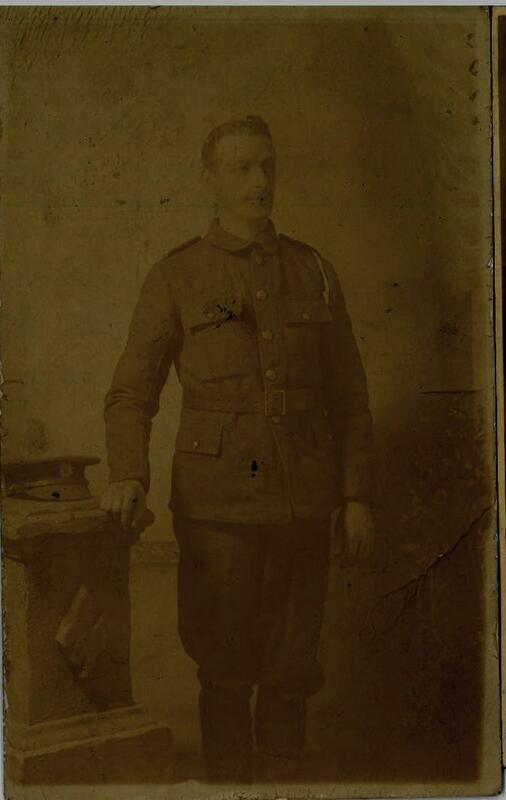 Although this would prove to be less of a problem in the Second World War, the Great War had highlighted the difficulties men and women on vital war work, but not having a uniform, could face. 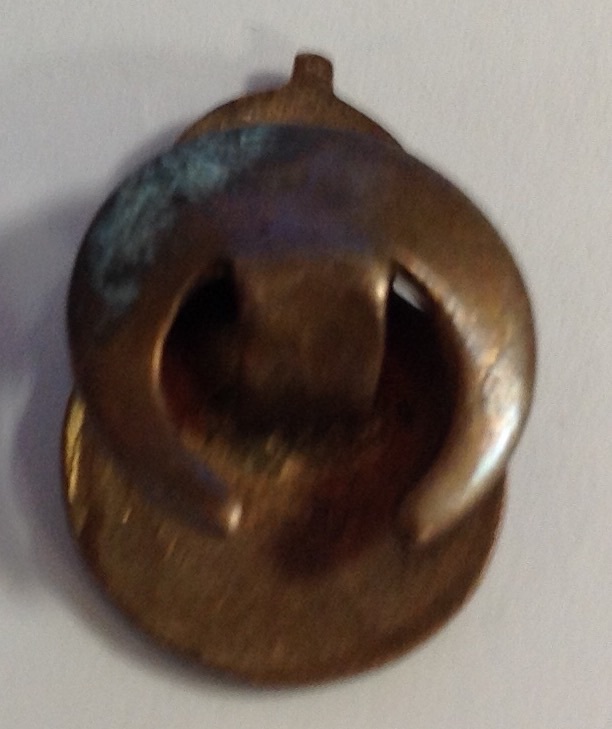 The lapel badge was a simple and cheap way of alleviating this problem and most civil defence organisations had some kind of badge to be issued to their members. 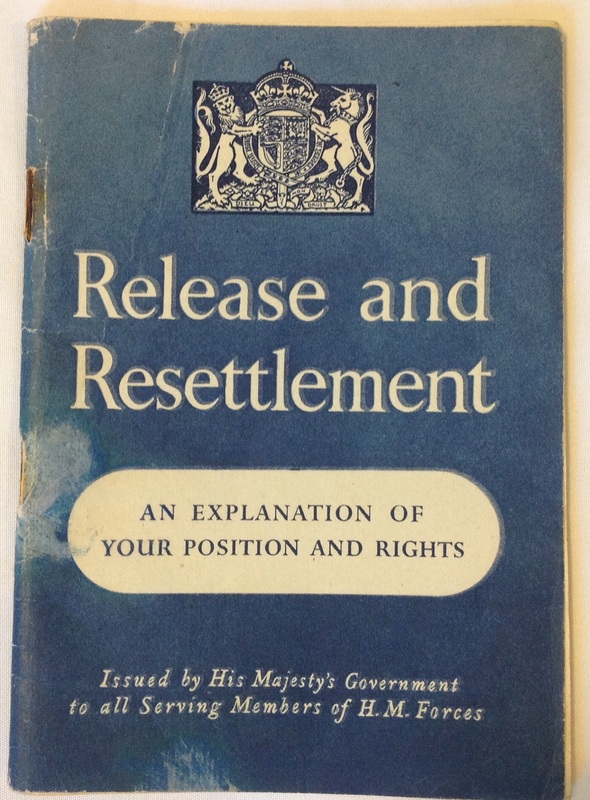 Although originally issued in silver, this example is made of brass, presumably to reduce costs. Previously we have looked at a bank note produced by the Allies for issue in France following the liberation of the country here. 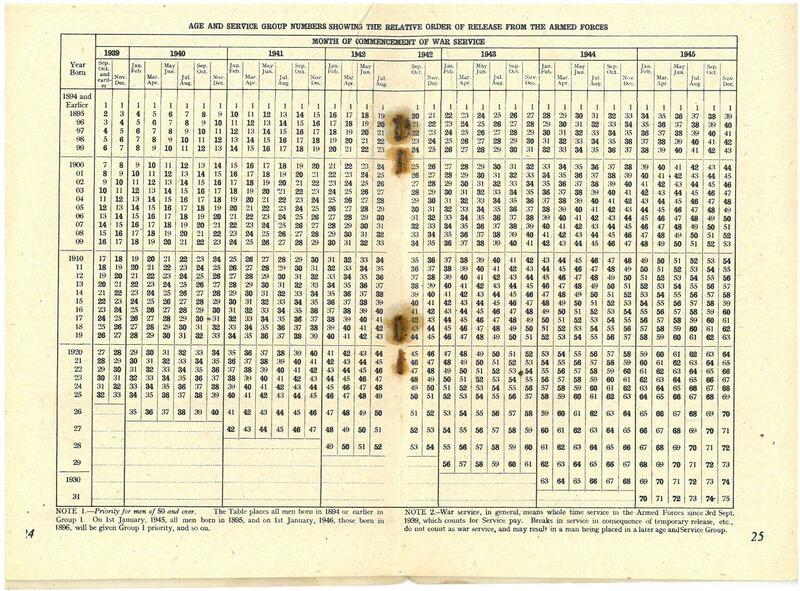 This note by contrast was produced by the Japanese Government for use in countries they had conquered. This note, worth five cents was issued in Singapore, Malaya, North Borneo, Sarawak and Brunei: The ‘M’ stamp indicates this note was for issue in Malaya; the 5 cent note was introduced in September 1942 to replace coins which were in short supply. 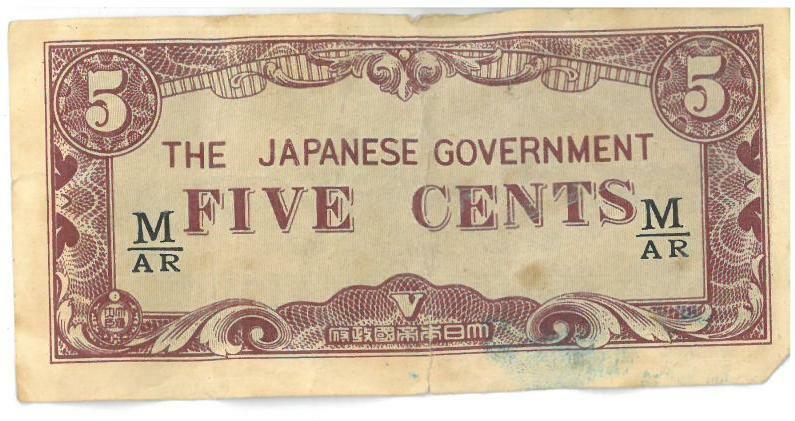 The use of notes was a cheaper way to issue currency and didn’t use strategic supplies of metal therefore the paper is a very cheap woven type, with a simple red-brown printing: The local population of occupied areas was forced to use these notes, which resulted in hyperinflation as the Japanese just printed more notes when they need it. The lack of serial numbers meant they were also widely counterfeited and after the fall of the Japanese Government they lost what little value they had up to that point. 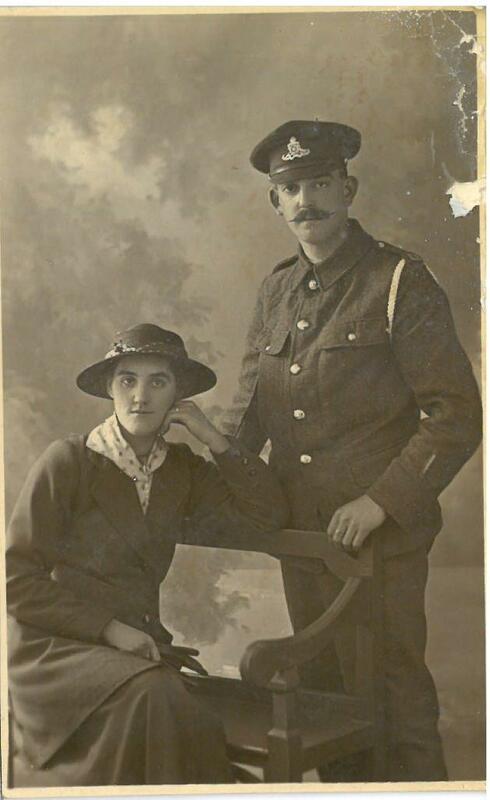 A couple of portrait postcards form the Great War came my way this morning. These sort of postcards are very common and consequently cheap- these cost me 50p each. The first is of a Royal Artilleryman and a woman who is presumable his sweetheart. The rear of the postcard identifies them as Ethel Senior and Sydney Fardnell (40268). 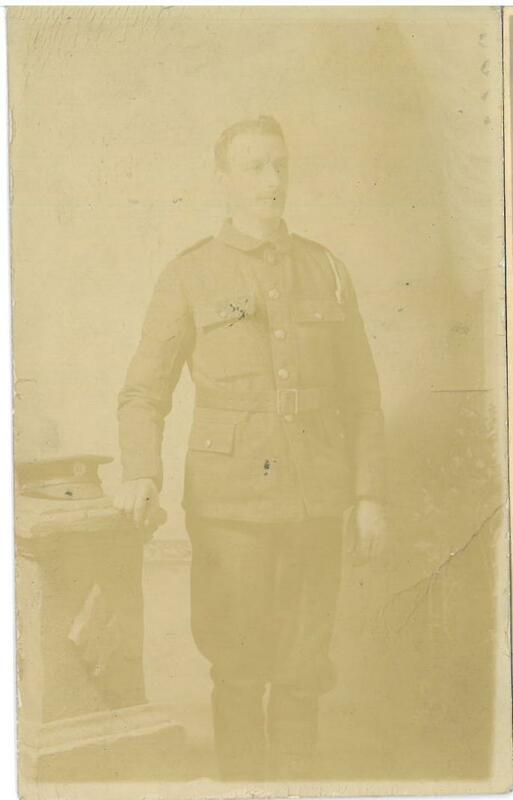 Sydney seems a little on the portly side, but had clearly seen action as there is a brass wound stripe on the sleeve: The second postcard, unfortunately, has suffered from quite severe degradation over the last century and is now very faded: Colour correcting it allows us to see it more clearly: It is hard to tell, but I believe the cap badge is for the Army Service Corps. 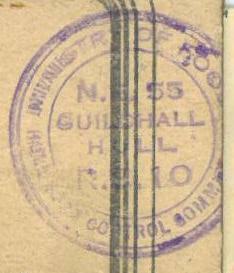 The rear of the postcard has a date of November 1915 allowing us to date the picture to the second year of the conflict. 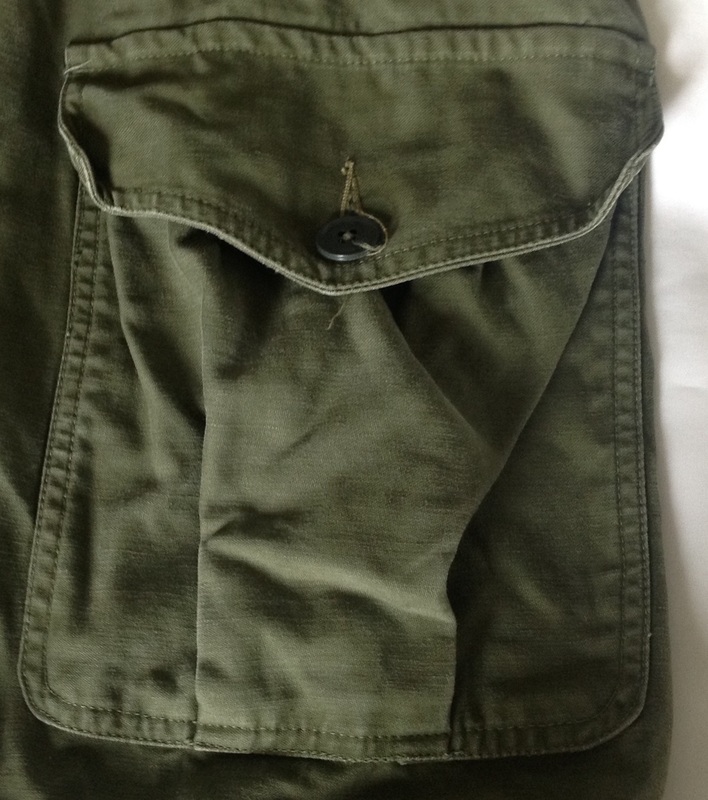 This entry was posted in Blitz, Documents, postcard, WW1, WW2 on May 26, 2015 by hatchfive. We ate basic foods at the British Restaurants which we were told ‘nourished the masses’. These restaurants offered simple meals such as minced beef with parsnips, greens and potatoes. Minced meat was sold at the butchers when available, but my mother was always dubious about its content. Spam from the U.S.A. was in common use to make up for the shortage of fresh meat. We normally ate at home enjoying our mother’s nutritious cooking. She was obsessed with making us eat all our vegetables especially our greens. 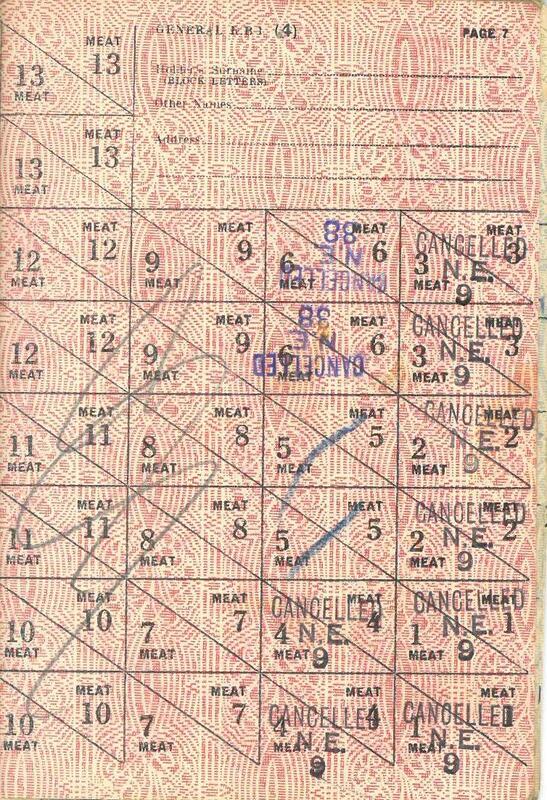 During the war, any leftovers from meals were kept for the next day. We often had ‘bubble and squeak’, a British term for cooked greens and cooked potatoes mixed and fried up. My mother made this on a Monday if there were any leftovers from our Sunday dinner. Fruit was almost non-existent except for apples, which were home grown. The saying: ‘An apple a day keeps the doctor away,’ may well have originated during the war. We never saw bananas or oranges. All children were allocated milk, cod-liver oil and orange juice. We often had to resort to dried milk (sold in blue tins), dried eggs (sold in red tins) and dried potatoes. 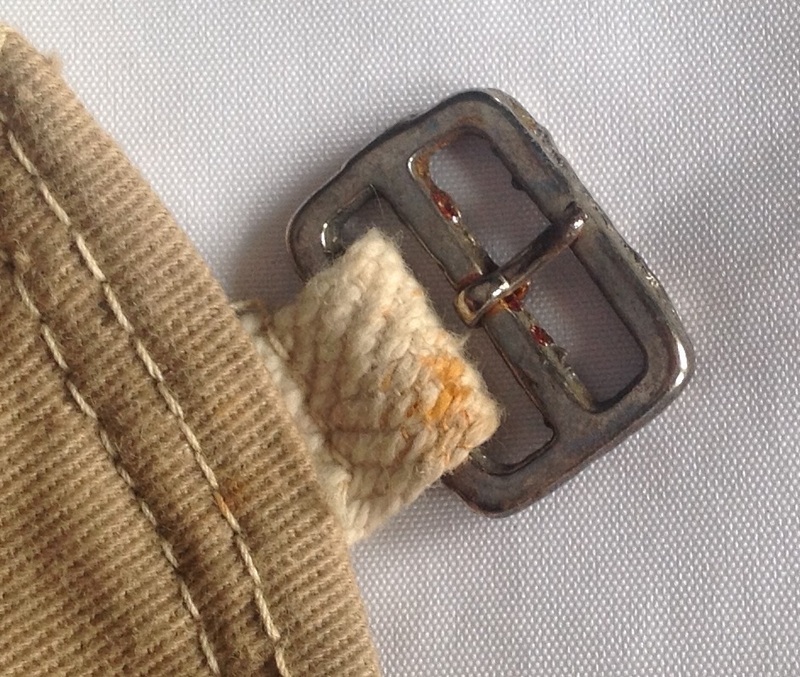 My mother tried so hard to keep us children nourished to the extent that she regularly denied herself. 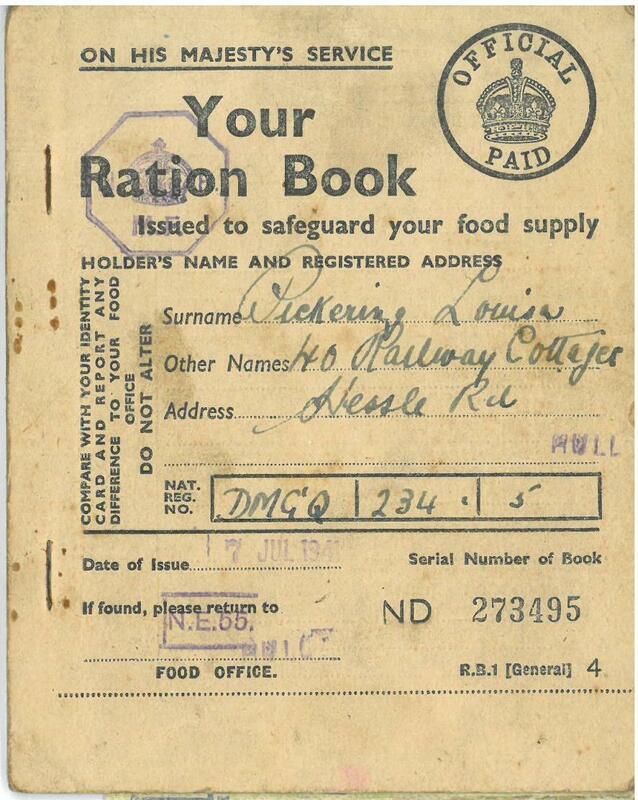 Tinned fruit was also rationed as were fish, cereals and biscuits etc. At least home-grown vegetables were encouraged by the ‘Dig For Victory’ campaign. 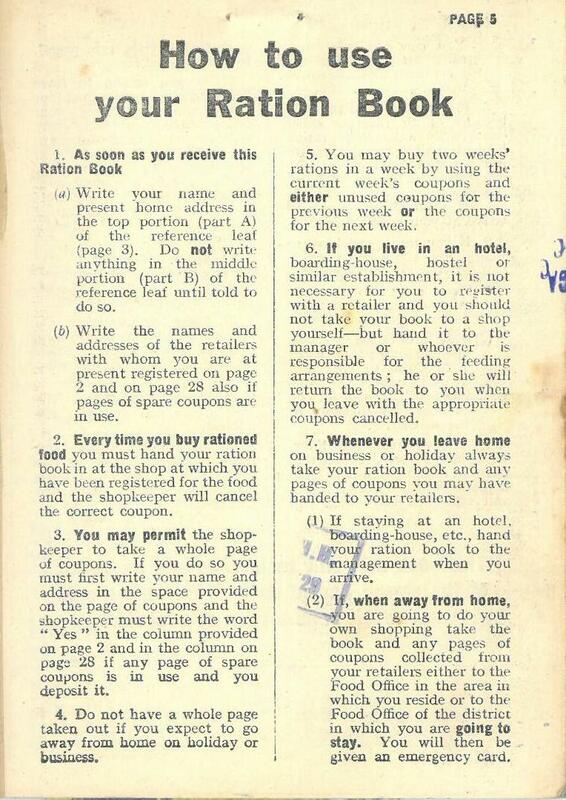 Rationing began in 1940, including sweets, which was a real blow to us children. 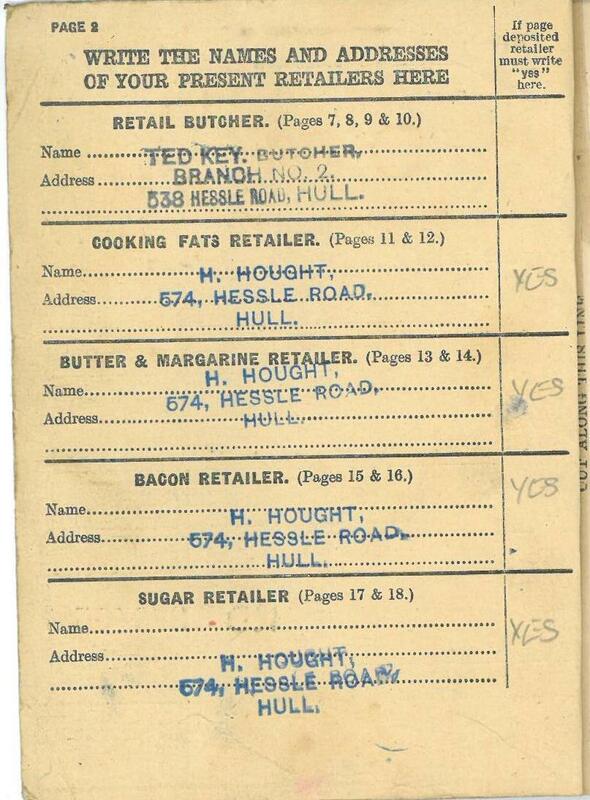 Mum readily exchanged her tea coupons from her ration book for sugar coupons with a neighbour as she was in greater need of sugar than tea with three young children. 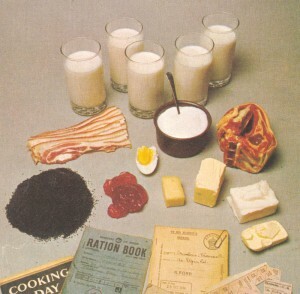 Butter and bacon were severely rationed and we constantly used margarine, the taste of which revolted me and still does even today. I’m definitely one of the few that can tell Stork from butter! We were allowed one egg each per fortnight. The rich were hit the same as the poor and, whatever we wanted, we had to queue for. Queue, queue, queue. What patience and stamina we must have had. However, we were so grateful for anything and everything we could get. The standard phrase from the customer to the shop assistant was: ‘Is there anything under the counter?’ We were only allowed 2 ounces of butter each week so we often had bread and dripping or condensed milk on our bread. The hardships seemed endless. 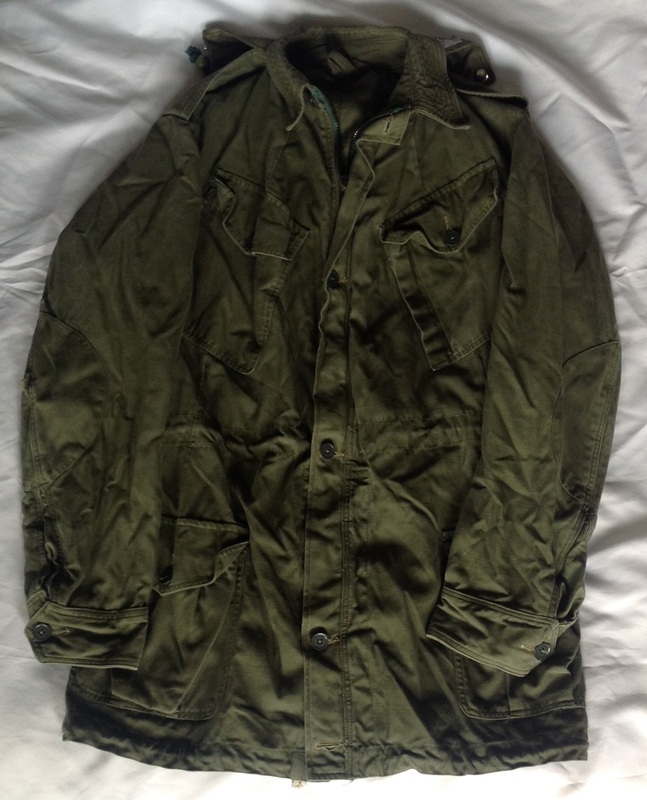 This entry was posted in Blitz, Documents, Latest Pick Ups, WW2 on May 25, 2015 by hatchfive.